There have been 209 images uploaded to this topic. (View topic image gallery). There are 2977 posts in this topic. You are on page 60 of 60. Hi guys - I'm really not sure. I'm leaning towards the Munsters as the other Stern pins currently available that I think I could select from don't do much for me (i.e. Deadpool, Iron Maiden, GOTG). Wish I could get a TWD but I think it's a few years too late. No matter what, I'm absolutely thrilled! I still can't believe I won this raffle. I've only entered these twice and really was doing it to support a great cause. Haven’t gotten the email from Project Pinball yet. Hopefully tomorrow. Think I’m going with Munsters. Can't believe it. I'm 177. I never win anything. It's a great day. 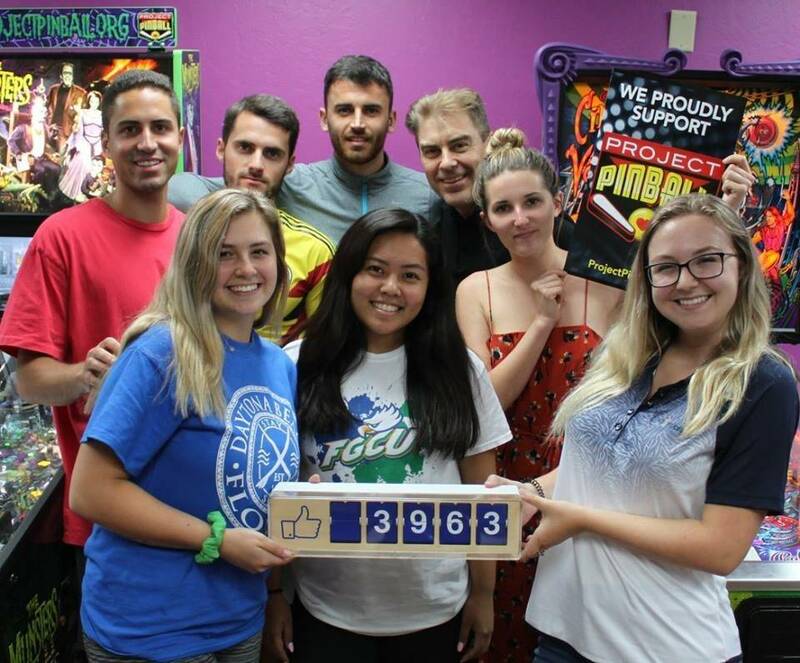 Thank you Project Pinball!! Got the email today. I'm so excited about this. 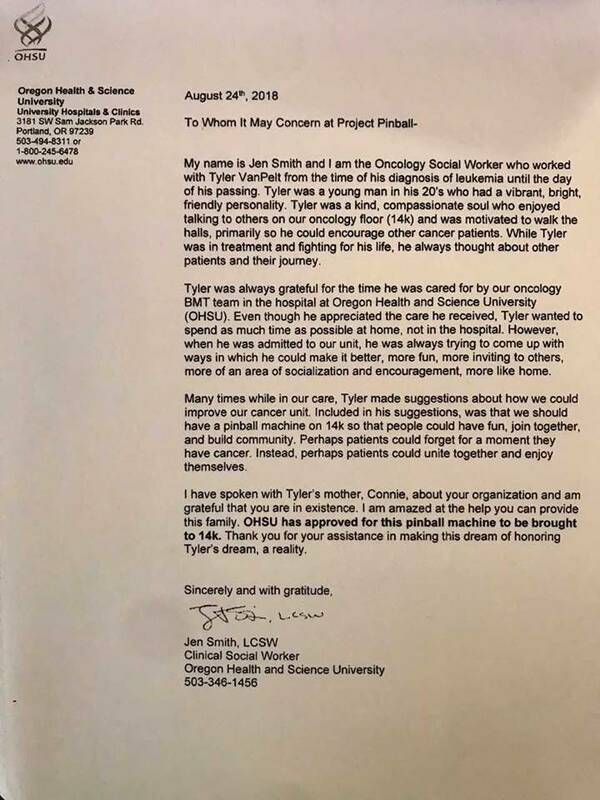 Thank you again Project Pinball. Will do gman. Ordered a Project Pinball lime green t-shirt for the occasion. 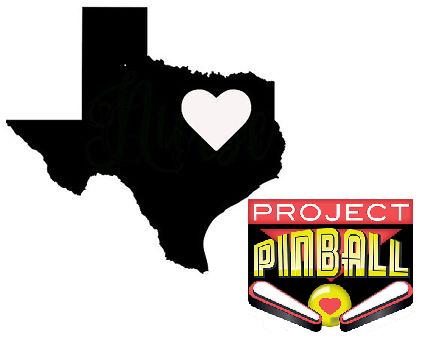 We are thrilled to be attending the Texas Pinball Festival this weekend for the first time ever! Interested in knowing other shows we will be attending very soon? Check out the list below! Are you going to be at any of these shows? Let us know! We would love to meet up with each and everyone one of you while attending these amazing shows! Make sure to be on the lookout at TPF this weekend for our Senior Founder/Director Daniel Spolar! He will be there all weekend so make sure to stop by and say Hi! PSA - Check your credit cards for fraud. 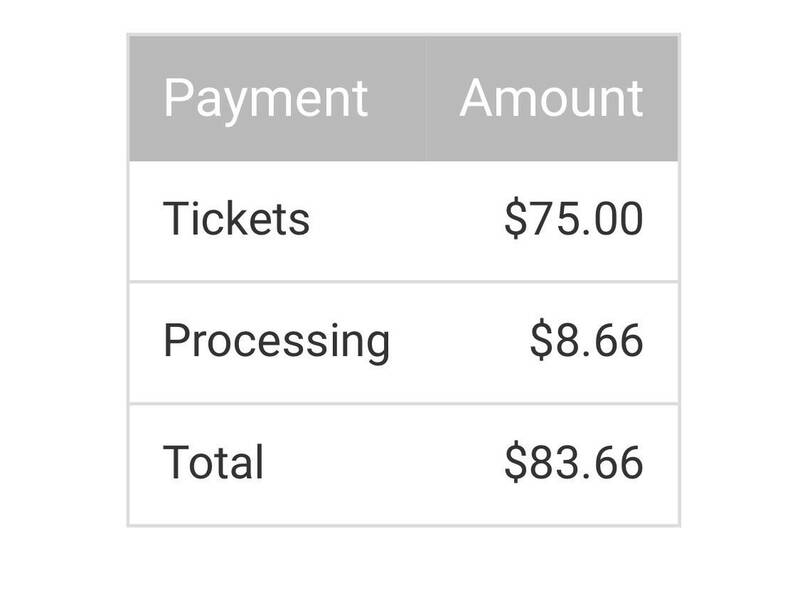 I used a card that I use very infrequently to purchase the raffle tickets and all of a sudden a $450 charged showed up. Nothing to do with this great charity I'm sure. Merry Christmas! Well, that just happened to me as well. Citi was on the ball but someone got some nice new sneakers from Adidas (over $325) and over $100 at Domino's. I guess it was either RallyUp's processing or Pinside (I donated here the day before). Looks like the next Premium will be Steve Ritchie's latest, Black Knight - Sword of Rage. Should be a good one! 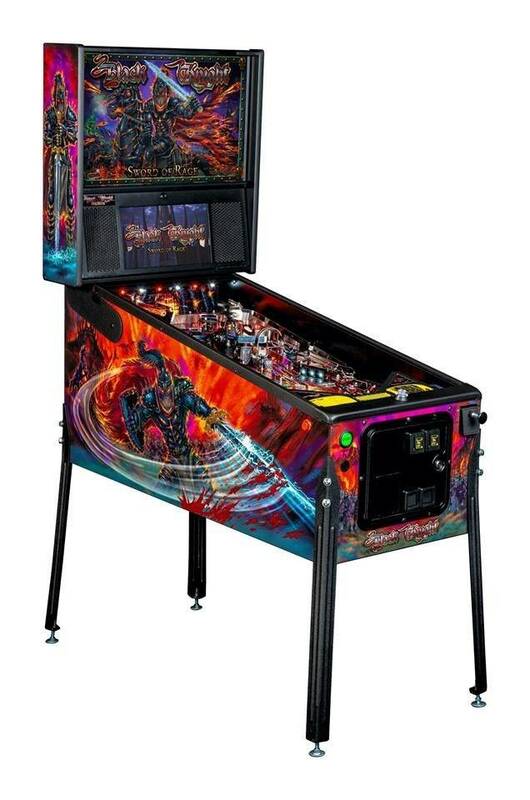 Stern's new Black Knight: Sword of Rage has just been added to our Stern's Next Great Title Premium Pinball Machine Raffle and our Win a Pinball Machine Stern Pro Model 19-102!! Want a chance to win this awesome new game by Steve Richie?! Enter our raffles to have the opportunity to win one for as little as $50! Check out the brand-new video of the Black Knight: Sword of Rage that is now included in both of our raffles! Don't forget that Stern Pinball's new Black Knight: Sword of Rage is now included in both our Premium and our Pro raffles as an option for the winner to chose! You do not want to miss out on this wonderful opportunity to receive a brand-new Black Knight for a little as $50 an entry! 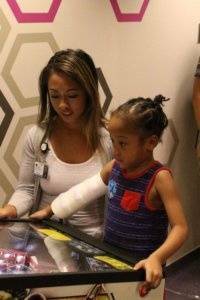 Each and every entry helps us continue with our mission of placing more and more pinball machines in Children's Hospitals and Ronald McDonald Houses across our nation! The Black Knight is BACK! And added to both of our Pro Model and Premium Edition Raffles. Enter now to win! Limited to 200 entries! We have new posts and events up on our website right now! Keep up to date with what we are doing and where we are going! We have many exciting events coming up! You do not want to miss out!!! We have two bits of VERY exciting news to share with everyone! First: We have sent out our awesome newsletter that will be sent to all of our supporters every few months to keep everyone up to date with all of the wonderful things Project Pinball has been up to as well as the very exciting events we have coming up! Make sure to check your inboxes to check out this amazing newsletter! If you are not subscribed send us a quick message with your email so we can get you subscribed! 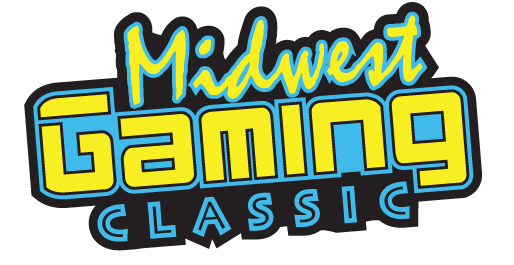 Secondly: Our new team member, Chelsey will be attending the Midwest Gaming Classic this weekend with Senior Founder/Director Daniel Spolar! We are doing a very special "Chelsey Take Over" on our Instagram Page this weekend so everyone who follows us can get an in-depth look into the show and follow along with Chelsey's experience at her first show! If you see her around make sure to say Hi!! 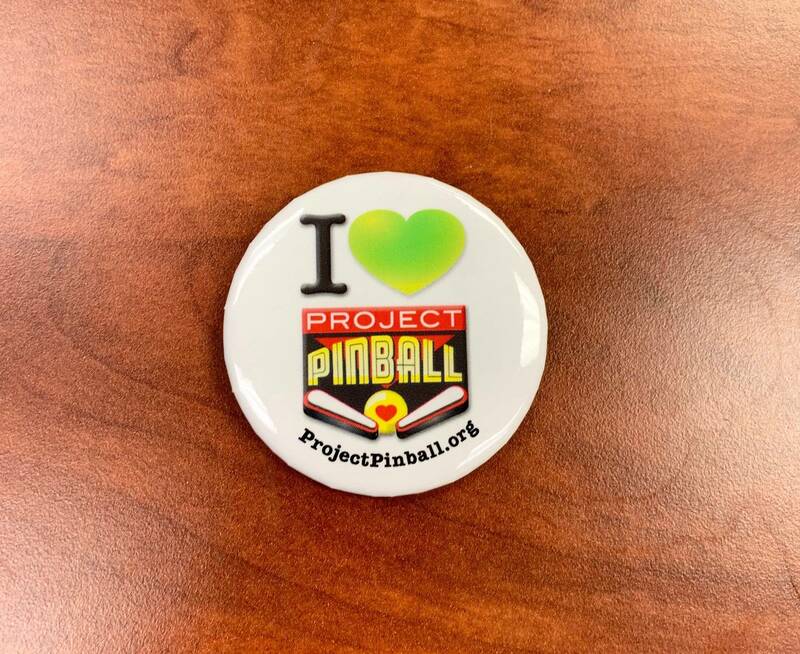 What an incredible throwback we have for all of Project Pinball’s supporters today! Since we are coming up on the anniversary of #PAPA20 we could not have thought of a better way to express a very important individual! During PAPA20, Soledad O’Brien was doing an incredible story on pinball’s very own Robert Gagno! We love the documentary on Robert so much that we had to share it with everyone! Here is a link to the trailer of Wizard Mode starring pinball's very own Robert! Robert’s story is one in a million and we are so very proud of Robert and his journey! Keep doing great things, Robert! 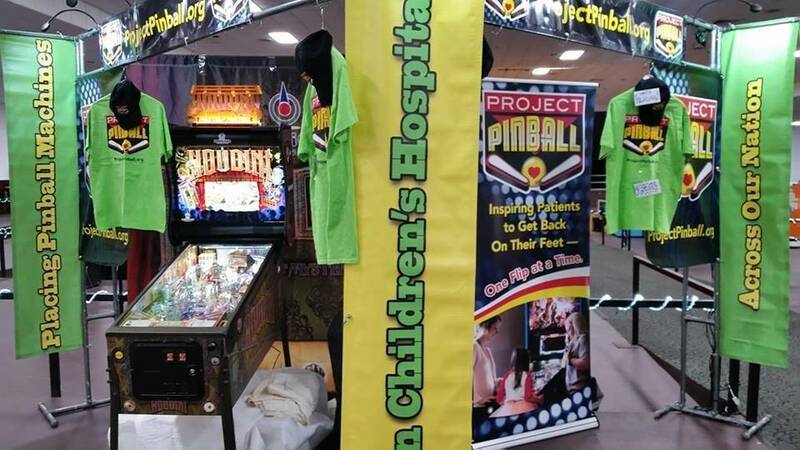 The Project Pinball Charity is beyond excited to be leaving this weekend for the Midwest Gaming Classic! Make sure you stop by Marco Specialties booth at the show to not only see the brand-new Stern Pinball games such as Black Knight! 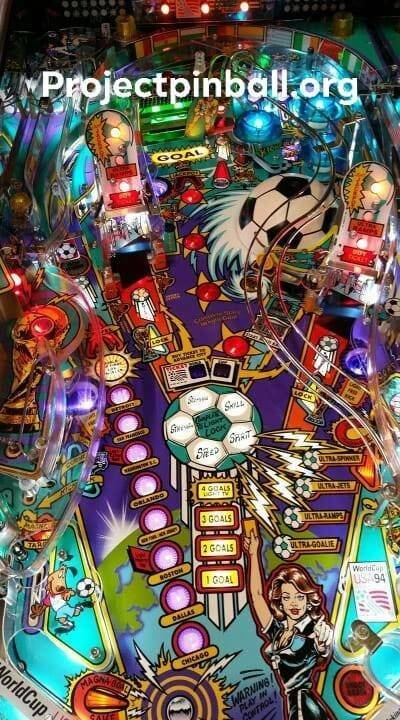 But also to pick up some wonderful Project Pinball Merchandise and say Hi to the team! We love partnering up with Marco Specialities and appreciate all the love and support we receive from them! We will also be having a special high score contest each day of the show! We will be giving out not one but TWO free entries into our high score contest for everyone that is wearing a Project Pinball T-shirt! We have just started a brand-new, very exclusive raffle to offer to all of our Project Pinball followers and supporters! 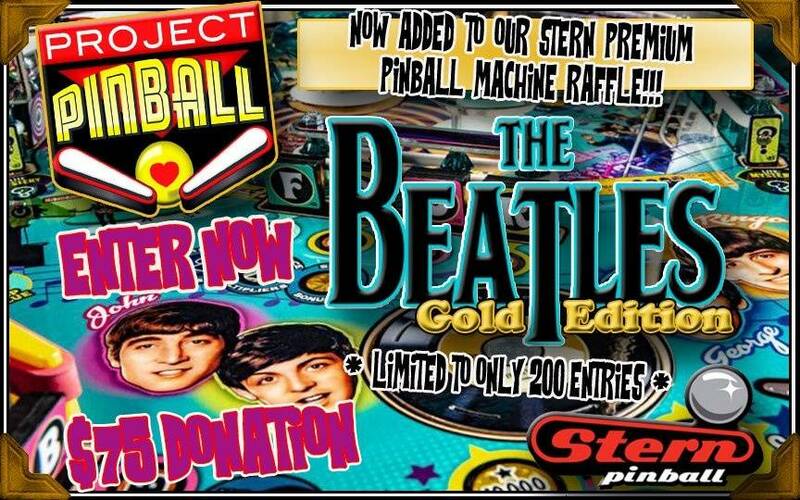 Introducing: Stern Black Knight LE Model Pinball Machine Raffle! 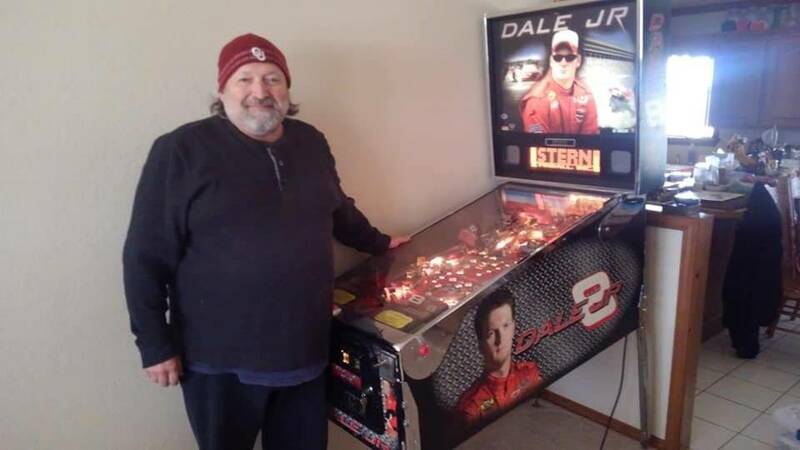 This exclusive raffle gives our supporters the opportunity to win a brand-new Limited Edition Black Knight Pinball Machine! There were only 600 of these made so you do not want to miss your chance to win one for only $85! Got mine, these wont last long! Very reasonably priced, I’m in! I had purchased a Premium 75$ one anyway to toss an additional 10$ in and change it to the LE raffle? 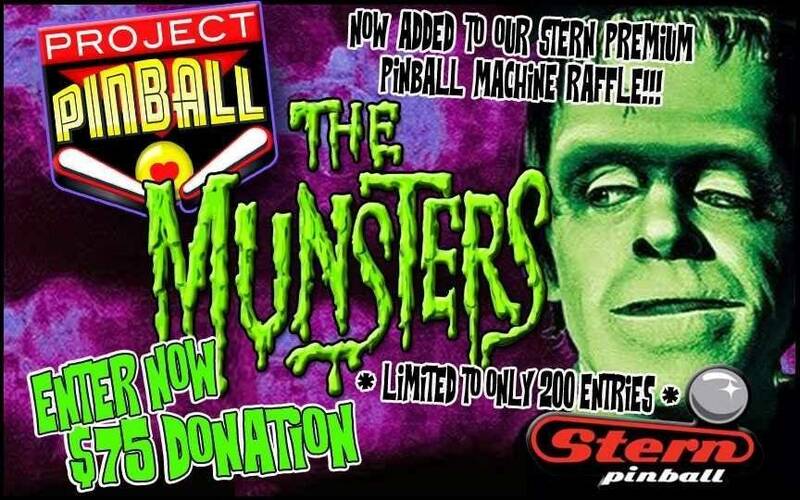 Project Pinball has a VERY exclusive raffle going on right now that is already 45% sold! Since we are near our halfway mark we know this raffle will be selling out very soon! Get your entries in today so you don’t miss out on your chance to win a brand-new Stern Black Knight LE Pinball Machine for just $85! Make our Facebook "LIKE" Counter move! Give us a Like on our Facebook Page and watch our BRAND-NEW Facebook Counter move in REAL-TIME! Once again, huge thank you to Brad Grzelka for this wonderful idea and donation! Also a special thank you to our FGCU volunteers for all their hard work and dedication to our mission! Is there a Wonka raffle in the works? I always get 2 tickets for the Stern Pro raffles but I'd go in on a Wonka raffle as well. I think there was only ever one JJP raffle, many years ago (Hobbit if memory serves). I guarantee a Wonka raffle will happen especially since the standard is $7500. Though I think they should wait until it’s confirmed production has started and will not linger for 8-12 months before games ship. If you sell out a raffle for a game and the company producing said game doesn’t deliver it would be a nightmare. I've played that Hobbit. The winner is in my league up here in Canada.Finger crossed for Wonka raffle.